With several holiday weeks coming up this month, many MUGs have been re-arranging their schedules to get their December meetings in. Bob “Dr. Mac” LeVitus will be live and in person at a Texas group, while Tonya Engst of TidBITS and Take Control will make a virtual appearance at a Pennsylvania group. While there are some other topics listed this week, such as digital cameras, security tips, and Photoshop 11, the vast majority of meeting topics, surprise, have something to do with holiday gifts and/or holiday parties. 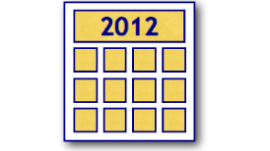 Yes, your group’s meetings could appear on The MUG Event Calendar and in our weekly Briefing. Just email the details of your next meeting to The MUG Center and we’ll get it listed. We want to hear from you. Port Townsend Seriously Laid-back User Group – What’s New/Where To?